Trick to use Firsttimelucky code unlimited times:- Paytm Mall, One of the best way to get maximum cashback on various products with some best Promocodes. Almost everyone has been benefited by the Paytmmall to get their desired products in maximum cashback. Let's say about FIRSTTIMELUCKY code which give the Flat 200 Cashback on the price list product of 299 Rs. Which means you can get any listed products in Just 99 Rs or almost free of cost if the Price is listed for Full Cashback apart from the Shipping charges. 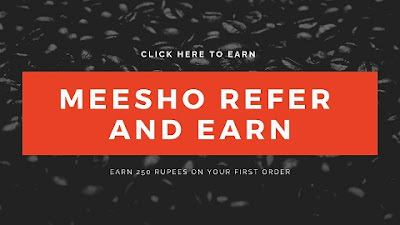 In this post here we are going to let you know how to use or you can say apply this "FIRSTTIMELUCKY Promocode twice" on your Paytm account or for unlimited times to order your products in maximum possible cashback. "Paytm FIRSTTIMELUCKY codes now can be used Unlimited Times by both NEW users and OLD users as well, Without creating new accounts or without doing full KYC"
How To Use Firstimelucky/Onceamonth Promocodes on OLd Account ? Since paytm always try to allure more users to use their services.That's why they made their services to liable only for once per user to use their Cashback Services which they are providing in the form of FIRSTITIMELUCKY or ONCEAMONTH promocodes. But few of us are really absurd to breach these services to use these codes unlimited times to order our favorite products twice using the same account and same FIRSTIMELUKCY Codes. Everyone wants to order their products in the maximum cashback. However, you can only use this FIRSTIMELUCKY promocodes only once to avail cashback on your products. But as you know that we are much ahead of this thing that we can't wait or do something else to use this FIRSTIMELUCKY Promocodes twice on same account. So in this post of trick to use FIRSTTIMELUCKY code twice on One/Same account. We are going to use this trick on some old account,don't use your fully KYC account. Trick is based on Deleting/Replacing the number of the Old Account and then Recreating the same account using the same number. So read all the steps carefully to use this FIRSTTIMELUCKY promocode trick. First of all Go to your Old Paytm Account. After this Remove the number and put any other old account number. Now You'll receive on that number. Enter the OTP and you'll see a POP-Up Just choose "No I didn't". Now Click on the Confirm option and you'have successfully replaced your number to another old paytm number. After that Click on the Paytm Dashboard and Use the First number which you have removed in earlier step. Use that number to create a new Paytm Account. After that do the MINI KYC on this Newly Recreated Paytm account. Now Use the FIRSTTIMELUCKY code in this account to order your product. After getting your cashback and products use the same process for your another number. First of all, Add your Desired Product into your Paytm Mall App. You can also Add one Product into Cart using PayTm App and Apply there FirstTimeLucky code. Now after that on Paytm Mall App Apply FirstTimeLucky Code. After that Choose the Payment Mode as UPI. Now minimize the Paytm Mall app, clear from the Recent App. After doing this, Open the Paytm Mall again and Add Second Product, apply FirstTimeLucky Code. Now you have added two products into your cart, after this use UPI payment mode to place your order. By using this trick to use firsttimelucky promocodes you can apply any such promocodes unlimited times on same paytm account. Just follow the above steps carefully, means how to order and then apply cashback promocodes. Avoid any haste to mess with your promocodes while ordering your products as you can loose your chance to use same promocodes again. But you can use this trick to use firstimelucky promocodes as many times as you want.